If you’ve been holding your breath for the conclusion of “Knightmare,” you’re going to have to wait until Batman #66 for Tom King to get back to his run. In the meantime, writer Joshua Williamson and artist Guillem March are stepping in for Batman #64. 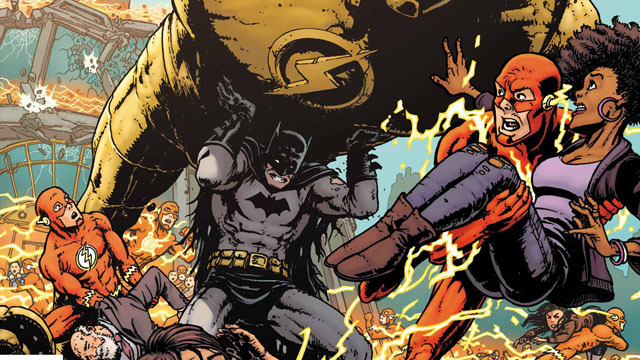 This is the first part of “The Price,” a four-issue crossover between Batman and The Flash. And by the end of this story, these two friends may be at each others’ throats. 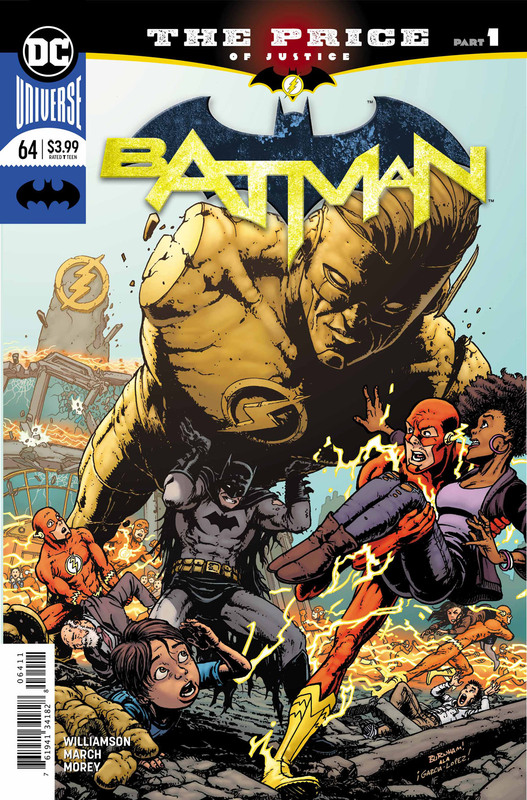 In Superhero Hype’s exclusive preview for Batman #64, the action takes place between issues of Heroes in Crisis. Someone murdered the heroes in Sanctuary, and neither the Dark Knight nor the Scarlet Speedster have been able to crack this mystery. Before they can find out who killed their friends, they’ll have to get past the Justice League of Amazos! Here’s the official description from DC:“THE PRICE part one! The two greatest detectives in the DC Universe take on the one cold case that will tear them apart! You can read the full exclusive preview in our gallery below. Batman #64 will hit comic shops on Wednesday, February 6. Let us know what you think in the comment section below!